It’s the first day that Texas legislators can file bills for the 2019 session, and already, the state’s Republicans are getting ready to further restrict abortion rights. Giddyup y’all. House member Valoree Swanson was up first, filing a bill that would, if passed, criminalize doctors who perform abortions in the state unless the patient’s life was in danger. In the state Senate, Bob Hall has proposed an amendment with the goal of “guaranteeing the right to life of unborn children and prohibiting abortion to the extent authorized under federal constitutional law,” similar to one he introduced during the last legislative session that went nowhere. 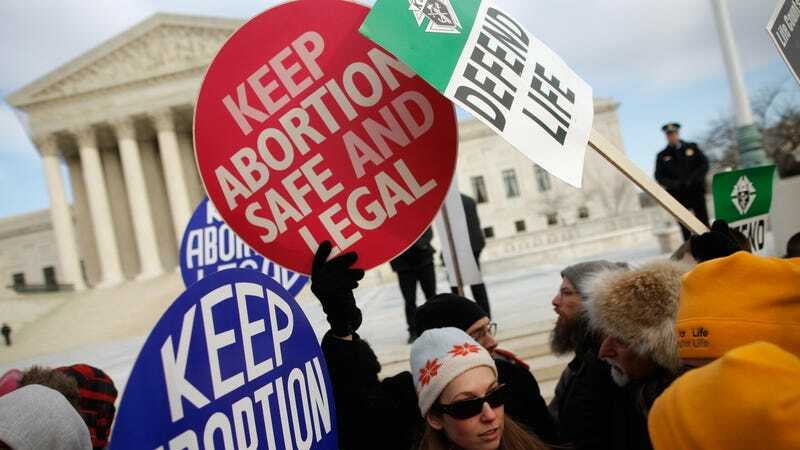 Texas Republicans, who are likely at this very moment salivating at the prospect of a conservative, anti-abortion Supreme Court steadily chipping away at abortion rights, have clearly not been dissuaded by several recent court challenges that they have lost. Earlier this year, a federal judge blocked the implementation of the state’s fetal burial law, passed in 2017, that would have required abortion providers and hospitals to bury and cremate fetal remains. Other anti-abortion laws passed by state legislators that year have been ruled unconstitutional. While the legal victories have preserved abortion access (for now) in the state, the consequences of all of the legislation passed in recent years have been dire—since 2013, half of the state’s abortion clinics have shut down.